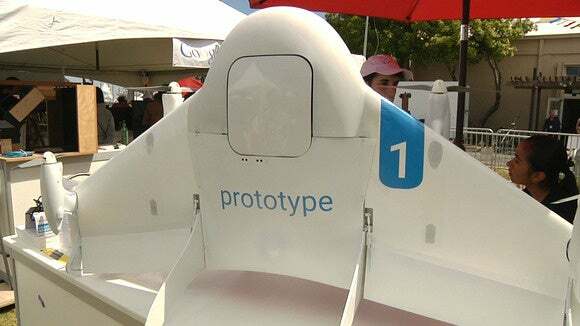 The head of Google's experimental Wing drone delivery project says he wants the service to launch quickly and is working with the government on trials that can be accomplished while regulations are being developed. "We're anxious to get things done yesterday," said Dave Vos at the Drone World Expo in San Jose on Tuesday. "We'd like to be in business as soon as possible." Vos didn't provide a launch date for the service but recently said he was eyeing a 2017 start of service. His comments on Tuesday underline the pressure Google X is putting on regulators to clear the skies for the service. Commercial drone flight is heavily restricted at present and services like Google's Wing and Amazon's proposed Prime Air service cannot operate. Drones need to be flown by a human operator and cannot leave the pilot's line of sight. There are also restrictions on flight near airports and over people. 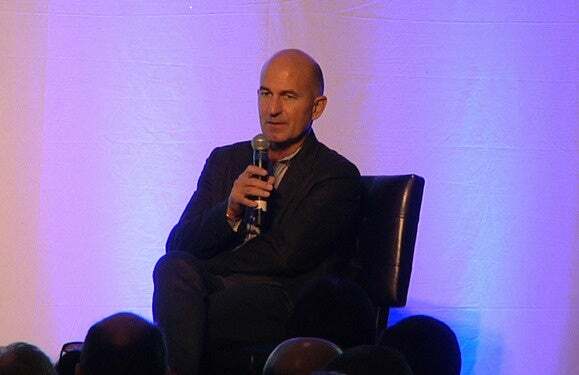 Dave Vos, head of the Google X's Project Wing drone delivery program, speaks at the Drone World Expo in San Jose, California, on Nov. 17, 2015. The Federal Aviation Administration, NASA and Radio Technical Commission for Aeronautics (RTCA) are working on guidelines for commercial automated drone flight, but those regulations are still some way away. "We think we can move in parallel with that and much faster and accomplish real progress in the near term, and near term has to be on the order of months and a few years, not decades because we don't have time to wait," he said. Vos specifically mentioned regulated but uncontrolled airspace called "Class G" airspace. Vos said he thinks it's important to continue to allow drones in such airspace with the freedom of operation that current pilots enjoy. Vos also proposed that the FAA allow self-certification of drones for companies like his that are prototyping and changing designs. It would work, he envisaged, with something like an ISO certification for a company's drone development work that once issued would allow drone operators to fly new designs without going through a formal FAA approval process. "That is tremendously enabling," he said. "Recently we built and fielded one that we wanted to do something special with in a few weeks."